Party in Portugal - with sardines! Last month has been an eye opener in so many ways. June took me abroad a second time but this time to Portugal where there are forrest's of Eucalyptus trees - or used to be. They suffered tremendously last year in the fires but are showing superb signs of growing back - it will take a good few more years to fully recover though. Anyone who pictures a forrest will imagine vast expanses of green - not black. 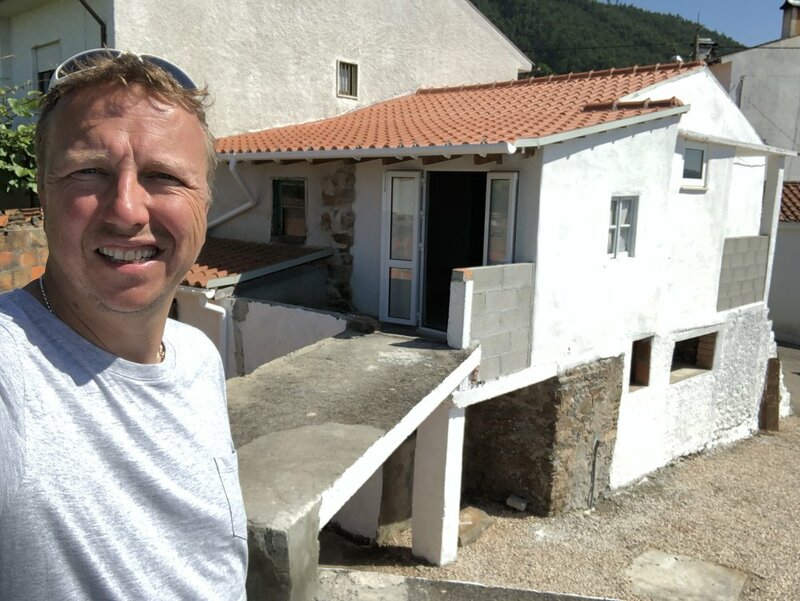 A friend of mine has a property in Portugal that he is doing up and I offered to pop out and help in the labouring department and be a moral boost - I also got a really cheap holiday and the chance to train in a different environment - the forrest is on a mountain and everywhere is steep steep steep. Running around these roads was exhilarating and of course I was careful not to overdo anything, as with different terrains you get different sprains. I clocked an 11k run in Coimbra district which was good enough for me. Sleeping on a camp bed and working hard in the 38 degree heat was interesting - fortunately this area is very rural and completely the opposite to Norway - wine is mega cheap!! And then one night we went to the local town and watched the Sardine Festival - I never imagined I would be writing this in a zillion years - yes the town had gone sardine mad - everywhere people were grilling sardines and selling them and a procession came through with people dancing, holding giant sized sardines on sticks so big it took 2 adults to hold them - bizarreeeeee. I think this town is very comfortably stuck in the 70's - not a care in the world. I will be back. It was a great break full of hard work and intense heat, running and seeing yet another different side of life - the world's a big place - or sardine even!